THE PUBLIC HAS PRICED THIS PROPERTY AT $989,000!! FIRST CONTRACT AT $989,000 WINS THE PROPERTY!! WELCOME TO PENINSULA II, THIS LUXURY COMMUNITY OFFERS SPECTACULAR OCEAN AND BAY VIEWS FROM ALL RESIDENCES AND TROPICAL FOLIAGE. A PRIVATE GATED COMMUNITY WITH AN ABUNDANCE OF AMENITIES. ENJOY THE PRIVILEGE OF THIS BEAUTIFUL ENCLAVE WITH PRIVACY AND SECURITY. THIS FOURTH FLOOR UNIT OFFERS OVER 3,000 SQUARE FEET WITH 3 BEDROOMS, 3 BATHROOMS AND 1 HALF BATHROOM. DON’T MISS YOUR OPPORTUNITY!! The sights, the sounds, the sheer opulence will envelope the senses and engage the soul. A sleek, contemporary façade wrapped in breathtaking vistas and watery horizons of the Intracoastal Waterway and the mighty Atlantic Ocean. Peninsula II echoes your every desire. Exclusive to residents at Peninsula’s front door exists a spectacular stand alone, three-story glass-enclosed structure built to benefit your body and psyche; a place for both beauty and health. 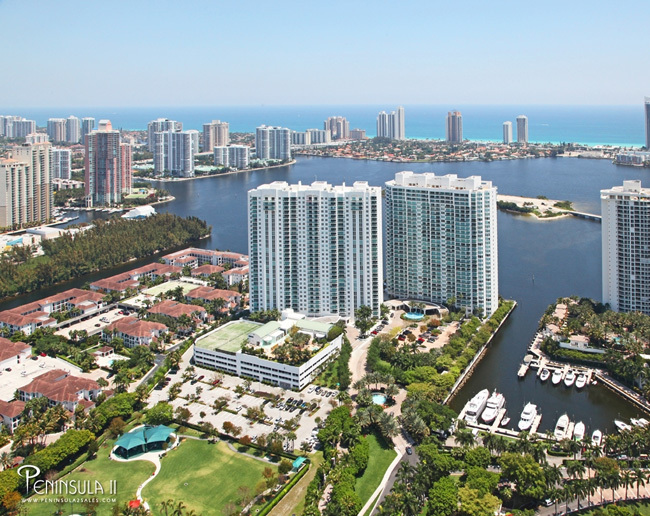 Don’t miss your opportunity to price and own your luxury waterfront condo! -I-95 to ST. Ives Dairy Rd. -Head East on ST. Ives Dairy Rd. -Turn Right on US-1 S. Biscayne Blvd. -Turn Left on 186th St.